Radio Spirits » Blog Archive » Happy Birthday, Frank Readick! 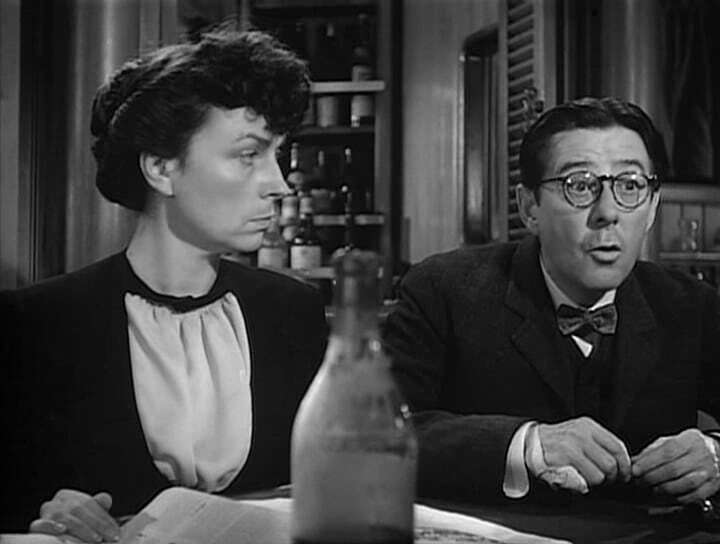 The actor born Frank Winfield Russell Marion Derwent Readick, Jr. (that’s what he called himself in a 1932 issue of Radio Guide) on this date in Seattle, Washington in 1896 was already a performing veteran at the age of two. Readick traveled with his parents’ covered wagon show, and (in another edition of Radio Guide) he reminisced that the show once trekked through Utah in search of audiences with little success. The troupe finally came upon a “boom town” and the large population lifted the spirits of Frank’s father. Once they pitched their tents, he started dreaming of hefty box office receipts that would allow him to pay the salaries of his employees. The next morning, the senior Readick awoke to learn that the entire population of that town—save for twenty people—had left overnight. 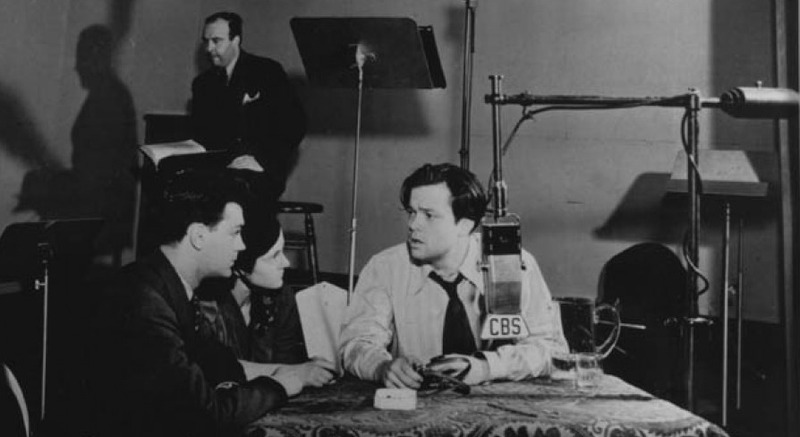 Frank Readick’s association with Orson Welles didn’t just stop with his helping out the actor in the-Shadow-laughs department. 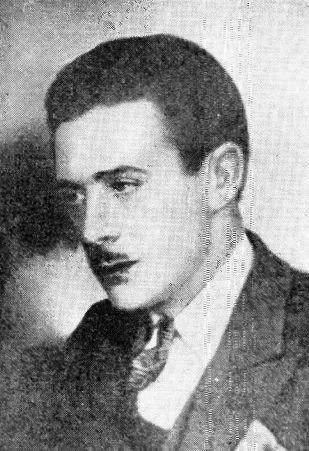 Readick was one of several thesps who appeared in Welles’ celebrated radio production of Les Miserables in 1937. 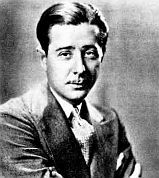 In addition, Frank would be called upon to perform on The Mercury Theatre on the Air (in such productions as “Heart of Darkness” and “A Tale of Two Cities”); he’s best-known as doomed reporter Carl Phillips in the celebrated “The War of the Worlds” broadcast. Readick continued with the program when it became Campbell Playhouse in December of 1938. 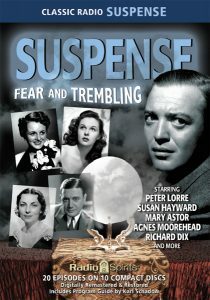 Welles would later appear alongside Frank (as “Matthews”) in the 1943 suspense thriller Journey Into Fear. Frank Readick, it could be said, was a creature of radio. 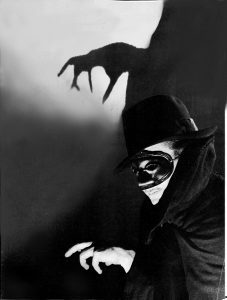 His motion picture resume outside of Journey was pretty skimpy; he didn’t even receive credit for voicing “The Shadow” in the first (1931’s A Burglar to the Rescue) of a short series of two-reel shorts based on the radio program and produced by Universal between 1931 and 1932. 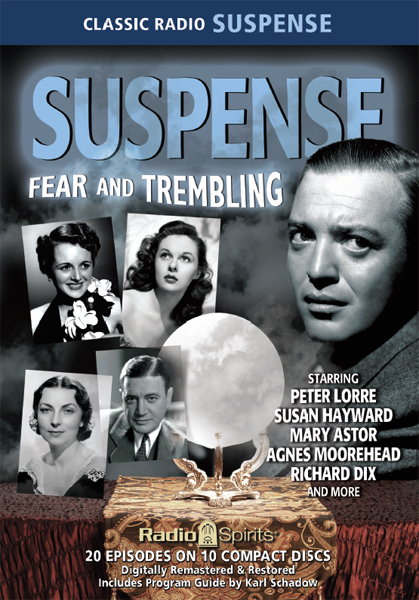 (This short was believed to be lost for many years until it was restored and shown to an appreciative Cinecon audience in 2004.) 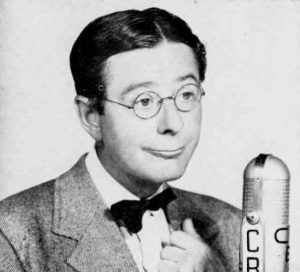 Radio kept Frank pretty busy; he was the star of Smilin’ Jack, a 1939 Mutual serial based on Zack Mosley’s comic, and later portrayed the titular henpecked protagonist of Meet Mr. Meek, a CBS situation comedy that aired from 1940 to 1942. Readick’s other radio credits include The Cavalcade of America, The Columbia Workshop, Counterspy, Famous Jury Trials, The FBI in Peace and War, Gangbusters, Murder at Midnight, The Mysterious Traveler, Studio One, Suspense, and Theatre of Romance. For a time on the daytime drama This is Nora Drake, Frank Readick emoted as “William Arnold”…and his son Robert (one of several actors to play “Johnny Dollar”) worked alongside him at the microphone as “Tom Morely.” Frank passed away in 1965, but you can still hear the laugh that cemented his radio immortality in the Radio Spirits Shadow collections Bitter Fruit, Dead Men Tell, Knight of Darkness, Strange Puzzles, and The Story of the Shadow. You can hear our birthday boy flexing his acting muscles a bit more in “One Hundred in the Dark” in our Suspense set of Fear and Trembling…and as the cherry on the top of the sundae, one of his finest radio showcases in the October 20, 1938 “The War of the Worlds” broadcast on The Mercury Theatre on the Air. Happy birthday, Frank! « Happy Birthday, Parker Fennelly!